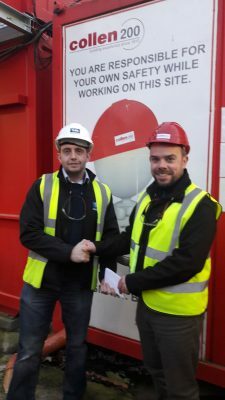 Suir Engineering have been awarded “Contractor of the Month” for the last 3 months (November, December and January) by Collen Construction at Frascati Shopping Centre Redevelopment Project. 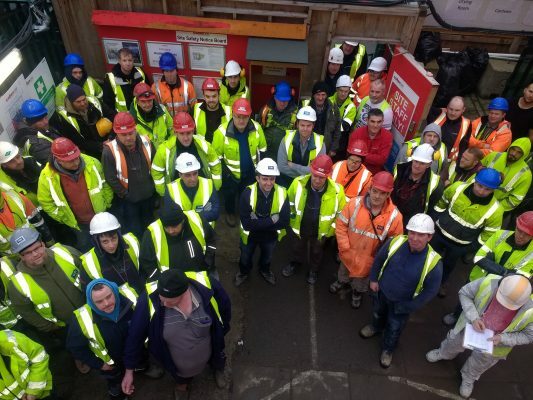 The award was passed onto our sub-contractors on each and every occasion as without their hard work, attention to detail & site wide focus on Safety then Suir Engineering would not have won these awards. Our Sub Contractors are our face on the ground and we are judged by their performance. Therefore it is only right that we acknowledge their hard work and commitment to delivering a first class job. 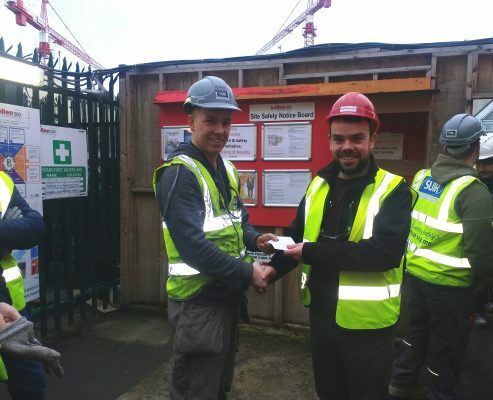 For this reason Eugene O’Loughlin our Project Manager asked young Aaron Keeler ( a second year apprentice) to accept the award for January on Suir Engineering’s behalf as he has excelled during his time on Frascati Shopping Centre.